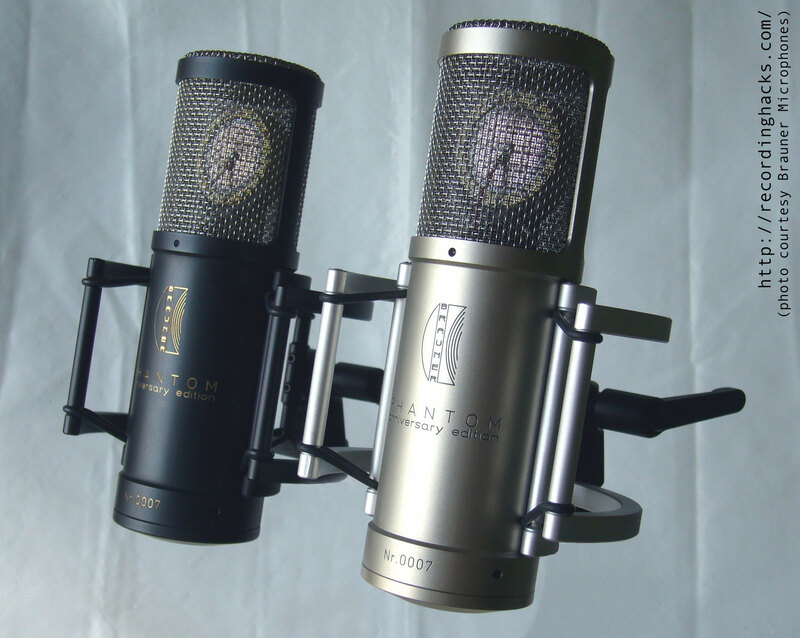 The Phantom AE, or Anniversary Edition, was a limited production run of the company’s Phantom C microphone, created to celebrate the 10th anniversary of Brauner Microphones. 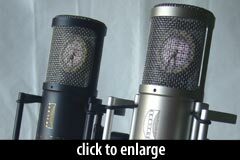 Both models are fixed-cardioid, large-diaphragm FET condenser mics. The AE was lower in price but equal to the Phantom C in components, construction quality, and sound. It was initially announced as a run of 1000 mics with black bodies, and later doubled in size to include a second run of 1000 nickel-plated mics. Sonically the Phantom Classic is quite neutral while the Phantom AE stands out a bit more. At the time of the AE’s release in 2005, a Phantom C sold for £999/$1950 (2004 street price $1462); the AE was listed at £759/$1500 (2005 street price $1275). The capsule in all these mics is a large-diaphragm (25mm) design with a 6-micron membrane. The Phantom C was designed with a wider cardioid than most of my other mics for a more forgiving positioning. I wanted it to capture the natural image of the sound source, with all the detail, quietness and truth that Brauner mics are known for. It is also a great mic for critical live sound and voiceover. It shipped with a shockmount, a Vovox mic cable, and an aluminum flight case. Certainly there’s no difference in build quality — the AE has the same sense of solidity and weight as the [Phantom C], and that wonderfully tightly machined shockmount is still there… comparing the AE and a Phantom C reveals no discernible difference in audio performance. There is still that terrifically uncoloured and smooth bass extension, still that great transient response, and still the sense that the microphone delivers “more of everything” — particularly on vocals. The Brauner Phantom AE is also known as: Phantom Anniversary.